Buy tickets online and SAVE!!! 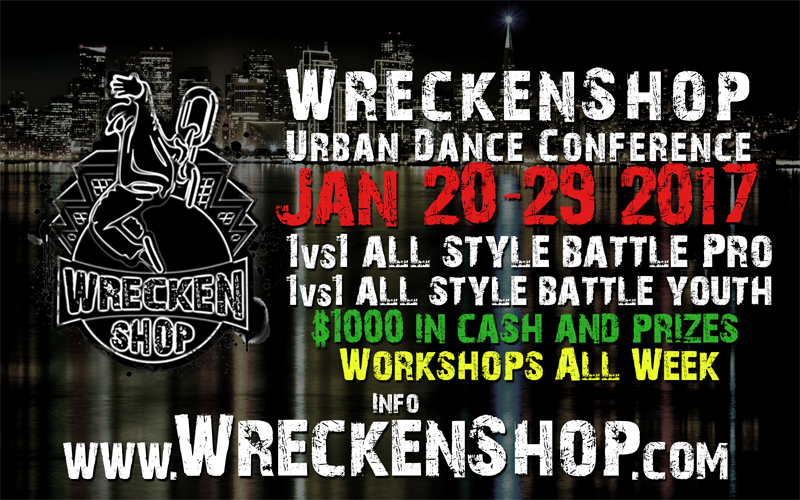 Wreckenshop Urban Dance Conference 12th Anniversary! The conference will take place over the course of 10 days with workshops, battles for youth and adult. Please come a few minutes early to fill out a waiver and pick your style of music for showcase. The battle will begin with a 60 sec showcase of your choice of music selected from one of the categories listed below. Judges will choose the top 16 from the showcases. Once chosen you will battle 1vs1 with a dancer chosen by the judges. Now here’s the fun part. To make it fair, you and the other dancer competing will role 1 dice each. One dice will have the choice of music and the other dice will decide who dances first. In the summer of 1999. GraVIDy launched an Urban Life website focused primarily on dancers and artists. The site sold dance VHS, DVD’s, and Music CD’s from local bay area artists as well as cross country, and clothing. The WreckenShop brand was not limited to only an online presence. WreckenShop was a weekly night club in the East Bay and has thrown special dance events from San Francisco to Hawaii. 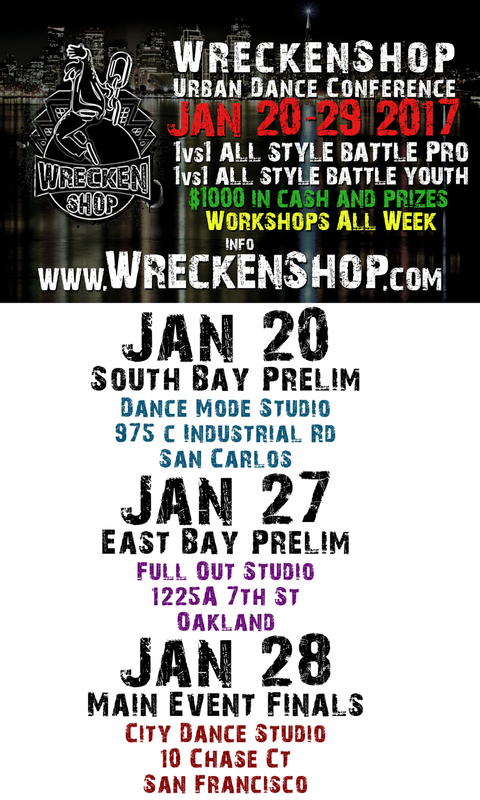 In 2005 he started the annual WreckenShop Urban Dance Conference where he brought some of the best teachers from all over the world to teach in the Bay Area. This event includes an All Style Dance Battle, and workshops covering 6 different forms of Urban Dances.